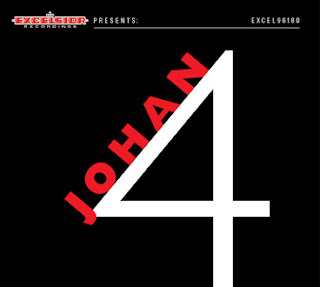 Faster than any of their previous records Johan released a new album. Their fourth in 12,5 years. That's not really productive but for Johan you know it's quality above quantity. The first three albums were all beauties so the stakes were high for this one! It's been out since beginning of May but I just found the time to finally review it. When you hear the first track you immediately notice that they didn't make many changes to their sound. But songs like "In the Park" and "The Receiving End" do sound a bit more rough than we're used to but without loosing that unique mellow sound. Those real Johan songs are still present though like "Comes a Time". In "Maria" it's not Jacco de Greeuw singing but guitar player Maarten Kooijman. And this works very well. They also include some horns and strings ("Alone Again") now and then to broaden the spectrum. So "4" doesn't sound surprisingly different but has some nice subtleties to make it all worth while. Maybe a next time it will start getting old but for now it's an album that doesn't disappoint at all.